Chevy continues to emphasize its safety first culture in its facilities. The safety philosophy at Chevy is at the heart of the development of each vehicle. 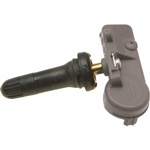 Chevy uses Schrader tire pressure monitoring sensors. Chevrolet is very passionate about designing and building the world’s best cars. The company is committed to delivering compelling designs, flawless quality and reliability, and leading safety. All are intended to create a symbiotic bond that can only happen between a driver and their automobile. At Chevrolet, safety will always be a priority. Chevrolet is an American brand of automobiles that are produced by General Motors. Chevrolet was originally founded in 1911 by Louis Chevrolet; however the company was acquired by General Motors in 1918. The company was positioned to sell a lineup of mainstream automobiles to directly compete against Ford Motors in the 1920s, and to this day, are still major competitors with the opposing brand. In America, Chevy sells and produces a wide variety of automobiles, ranging from compact cars to large commercial trucks. Chevrolet has had a great influence on the Automobile market with products such as the Corvette and the Chevy small-block V8 engine. Please email us with any questions at customer.service@tpmsdirect.com or give us a call at (714) 482-3996.